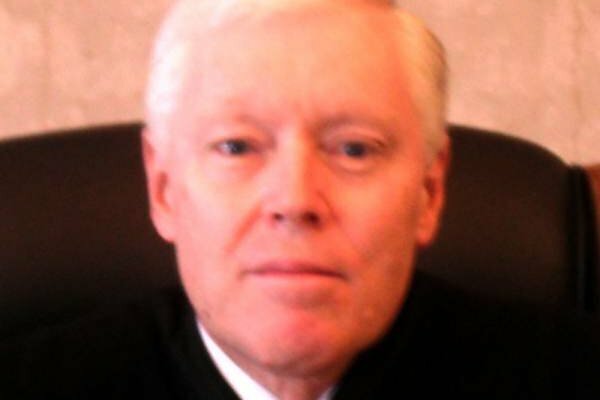 Who is Judge William R. Carpenter? Montgomery County Court of Common Pleas Judge William R. Carpenter oversees the grand jury system in southeastern Pennsylvania. During a Wednesday news conference, embattled Pennsylvania Attorney General Kathleen Kane said the indictment against her for leaking grand jury testimony was retaliation for uncovering pornographic emails exchanged by officials in the state attorney general's office under former Gov. Tom Corbett and state judges. She called on Montgomery County Court of Common Pleas Judge William R. Carpenter, who oversees the grand jury system in southeastern Pennsylvania, to release the chain of "filthy" emails from the veil of grand jury secrecy. Kane said the emails are also racially and religiously offensive. So who is the judge who has the ability to make those emails public? Elected in 1993 as the 59th judge in the history of Montgomery County, Carpenter was retained in 2003 and 2013. His current term expires in 2023. In the 2013 judicial retention election, he collected 76 percent of the vote. Prior to joining the court, Carpenter spent 15 years as a prosecutor. He was an assistant district attorney from 1979 to 1993 and first district attorney for the last eight years of that term. During that time, he supervised homicide and wiretapping investigations. He was also active in the Montgomery County Bar Association and chaired the Rules of Criminal Court and Cultural committees. Carpenter earned his undergraduate degree from Juniata College and his juris doctor degree from Ohio Northern University. He and his wife live in Montgomery County with their four sons.